When me and my wife were talking about our first anniversary trip, Universal Orlando was not our first choice. We had originally planned on taking a road trip up the east coast stopping in Washington, Boston, Philly, NYC, etc all while making our way to Niagara Falls. Somewhere between planning that and May, we bought a house. Buying the house ate up a large portion of our trip budget (mainly b/c of flood insurance since we live on an island). When my wife said that we should go back to Orlando and go to Universal, I remembered why I loved her. This would be her first trip to Universal Orlando ever and my first since The Wizarding World of Harry Potter opened. We are not big on planning trips to theme parks because we would rather go with the flow and see what happens. We began thinking about hotels. 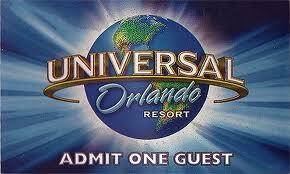 Of course, we would love to stay at one of the Universal resorts, but that was not in the cards for this trip. When we cannot stay at a resort at Walt Disney World, we try to get the Hampton Inn by Downtown Disney. We figure we would give the Hampton Inn Universal Orlando a shot. We were not disappointed. While the hotel is a simple hotel, it met all of needs and more. We were a short 2 to 3 minute drive to Universal property depending on red lights and we got breakfast every morning. 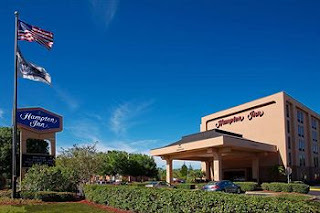 If you are going down to Universal and are looking for a good hotel that doesn't break the bank, give the Hampton Inn Universal a shot. As for tickets, with Parkscope Weekend coming up in October and our typical style of a few trips down every year, it only made sense for us to go for the Annual Pass. We chose to go with the Preferred Annual Pass. With that, we recieve the discounts on everything we need. If you are someone planning on attending Halloween Horror Nights, you might want to give the Premier Pass a look because it comes with a free ticket to the event. My wife has vetoed Halloween Horror Nights, so we will be attending Mickey's Not So Scary Halloween Party this year during Parkscope Weekend. In case you did not know, we live in Savannah, Georgia. When we were pricing our pass options on the Internet, we wanted to go with the payment plan. This allows you to pay for half of your pass up front, and the rest will be billed to you later. This was a good option for us because of having to purchase two annual passes at once. Since it came up as an option on the Internet, we should be able to do it at the ticket booth at Islands of Adventure, right? Right? I'm not sure what the issue was, but the Team Member assisting us was not able to get the option to come up on her screen. She kept working with it and eventually called her supervisor on the phone. Turned out, because we live within a couple of hours of Florida, we were eligible for Florida resident rates! This was great for us because not only did we get a cheaper price, but the payment plan option. If you live within a few hours of the resort, it might be worth asking about. That gives you the basic background. So, onto some fun in the parks. Once we had arrived, we headed into Islands of Adventure. It was probably around 6pm. After entering the park, we headed directly to The Wizarding World of Harry Potter for my wife's first ride at Universal.... she got sick. Harry Potter and the Forbidden Journey is a simply stunning ride. I know everyone has heard it before but it warrants all the praise it gets. It is unlike anything else in the industry. Even though my wife got sick on the ride, she had to ride it multiple times on the trip because it is so amazing. After a ride on Harry Potter and he Forbidden Journey, we had a Butterbeer and proceeded into Jurassic Park. Jurassic Park is another area of the park that blows me out of the water. To this day, I consider Jurassic Park to be my favorite movie. The land in Islands of Adventure is straight out of the movie. Every time I go in the place I get chill bumps when the music soars and I pass through the gates. Ah.. it is simply bliss just thinking about it. My wife wanted a calmer ride to enjoy since she still was not feeling well and Jurassic Park River Adventure fit the bill. Like I said, I love Jurassic Park, the River Adventure is the closest experience I will ever have to being in the movie. I've ridden it a lot and I never felt like I got that wet riding it. Sometimes I was straight dry after riding. I do not know if they did anything to the ride, but every time I rode it this trip, I was soaked. After Jurassic Park, we made our way to Marvel Superhero Island for The Amazing Adventures of Spider-Man. I love Spider-Man! I still consider it the best ride I have been on, even with Harry Potter and the Forbidden Journey existing, but nothing prepared me for the new HD projectors! I was simply stunned at the detail and rich environments that are now present on the ride. I did not think it was possible for Spider-Man to get any better, but they did it. The ride now uses the new style of glasses that you are also utilized on Star Tours The Adventure Continues at Disneys Hollywood Studios and the new Despicable Me Minion Mayhem ride at Universal Studios Florida. It truly changes the experience for the better. The changes on Spider-Man are reason enough to head to Universal Orlando Resort this year. After Spider-Man, we proceeded to Universal Studios Florida because they were open an hour later than Islands of Adventure. Once inside, we headed straight to Mummy. The ride was looking pretty good however, the first Imhotep AA was not working. Overall, I was pleased with the condition of the attraction. The last ride of the night was E.T.! For some reason, I have a feeling that this attraction's days are numbered. I told my wife after our ride that I wanted to be sure to experience it as often as possible. Since she loved the attraction as well, it was an easy sell. I hope I am wrong because so much of the classic Universal Studios Florida is now gone, it makes E.T. all the more special. I think that will wrap it up for now. Expect more installments in the coming days and weeks. We will be discussing dining, attractions, mini-golf, etc. I know it will be a great recap for me and I hope you enjoy it! If you have any questions or comments, you can leave them here or tweet me @MrX_381 or @Parkscope. 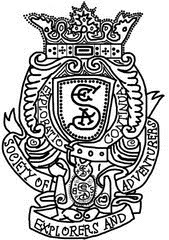 You can also find us on Facebook! All pictures not marked otherwise were taken by my wife and me.